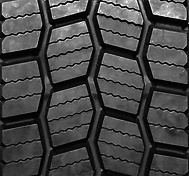 Advanced tread compound provides extended original mileage and improved rolling resistance. 24/32” tread depth for optimized mileage and rolling resistance. Long haul and over the highway drive, for large capacity trucks or car carriers.